Can anyone name my favorite author? No? Okay, I'll tell you, but only because I want to share this amazing woman with the rest of the world. If you haven't been living under a rock, however, you probably are already familiar with Jodi Picoult. She takes current issues, asks herself a 'what-if?' question, and tells the story beautifully... every single time. The Storyteller, her most recent novel, is certainly no exception. Sage Singer befriends an old man who's particularly beloved in her community. Josef Weber is everyone's favorite retired teacher and Little League coach. They strike up a friendship at the bakery where Sage works. One day he asks Sage for a favor: to kill him. Shocked, Sage refuses… and then he confesses his darkest secret - he deserves to die, because he was a Nazi SS guard. Complicating the matter? Sage's grandmother is a Holocaust survivor. Now, doesn't that sound compelling? Or not, if you're not like me. I have an odd fascination with books about the Holocaust. It started in seventh grade, when I read The Cage by Ruth Minsky Sender in class. 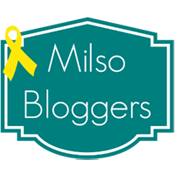 I felt so deeply for the characters, and ever since, I haven't been able to avoid books about this subject. 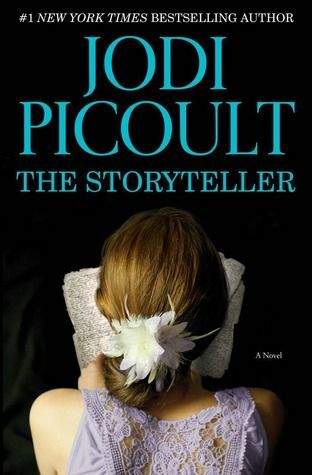 And with Jodi Picoult being my favorite author, reading The Storyteller was a no-brainer. I don't want to give too many details about the book. This is one you simply have to read. Be prepared to stop and think. Be prepared to cry. Be prepared for this book to stay with you for a long, long time after you finish reading it. But most of all: just read it. It's brilliant; I promise. I haven't been this straight-forward about recommending a book in a long time (probably since I read The Book Thief by Markus Zusak, also a Holocaust book). Do yourself a favor, and pick up a copy of this book soon. If you've read The Storyteller, what did you think? If you haven't read it yet, do you plan on it? Are you fascinated with a certain time period in our history? That's awesome that you like her too. She is such a great author. My other favorites by her are My Sister's Keeper, Plain Truth, Vanishing Acts, and Nineteen Minutes, but I do love The Pact as well!